Sahara Air Conditioning and Heating is a full-service air conditioning contractor for residential and commercial customers in Las Vegas. Our NATE certified HVAC technicians have the training, tools and experience to handle a complete range of air conditioning repair and air-quality services. Call Sahara Air Conditioning & Heating for all of your service needs. Call the experts at Sahara Air Conditioning & Heating today, and we guarantee you’ll be satisfied with your AC repair or service. Residents of Las Vegas know that a properly functioning air conditioning system is important to ensure your family’s comfort all summer long. We have the knowledge and the know-how to keep your air conditioner running properly and efficiently. A properly functioning air conditioner is important, especially when you live in the hot desert climate of Las Vegas. It’s no fun when your AC unit is broken and blowing hot air, and the expert HVAC techs at Sahara Air Conditioning can get your air conditioning running properly again. If your air conditioner is over 10 years old, or it’s costing more each year to maintain, it may be time to consider replacement rather than repair. Our home comfort professionals will work with you and your budget to make your home cool and comfortable again. Maintaining your air conditioner will ensure that it runs smoothly and efficiently, keeping your family cool and comfortable. Customers who sign up for our ongoing AC Maintenance Program will enjoy discounts on air conditioning service, lower utility bills and receive preferred customer service. Proper maintenance will prolong the life of your air conditioning system and can find issues before they turn into expensive AC repair problems. Call Sahara Air Conditioning to learn more. Is your AC unit over 10 years old? Does it seem to cost more and more each year to run your AC system, either through expensive repair or higher utility bills? It could be time to consider replacing your old, AC unit with a new, highly-efficient air conditioning system. The home comfort experts at Sahara Air Conditioning & Heating will work within your family’s budget and needs to find the perfect AC system for your home. 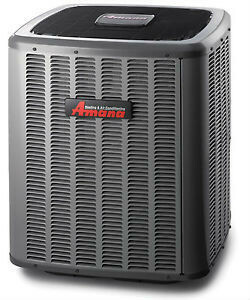 At Sahara Air Conditioning, we recommend, sell and install Amana Air Conditioning Systems. Our professionally trained home comfort experts will help you find the correctly-sized system for your home or business, and will install it properly, ensuring years of efficient, dependable service. Call Sahara Air Conditioning today. Our AC repair clients always get outstanding, personalized service from the beginning to the end of your service call. You will receive only the best in customer service throughout your entire HVAC job. Sahara Air Conditioning & Heating, Inc. gives our customers reliable heating, air conditioning systems and air filtration services that are top notch and expertly maintained by our expert HVAC contractors. All of our indoor air quality and HVAC services are personalized to your individual needs. As with any appliance or electronic, air conditioning units are not immune to the wear and tear of time, and are bound to malfunction sooner or later. Fortunately for Las Vegas residents, the professional AC Repair technicians at Sahara Air Conditioning are a phone call away. Living in Las Vegas can be quite difficult, considering the arid and hot climate that occurs a majority of the year. Without a reliable and properly maintained AC unit, your family’s comfort could suffer. Nobody want a broken AC unit that’s blowing hot air on the hottest day of July! There are plenty of AC Repair companies in the Las Vegas area that can repair your air conditioning unit. So which provider should you choose when your AC needs service or repair? There are certain aspects you may want to look into before hiring one of the many companies available. Here are some tips to get you on track of searching for air condition repair service providers. One of the easiest ways to find a quality AC repair company is searching online. Online searches tend to be faster and more convenient when looking for just about anything these days, and a good AC repair contractor is no different. Check to make sure that your company is both licensed and certified. The NATE certification is pretty standard if you are a long-standing company with a good reputation. NATE certification tells you that your company constantly endeavors to learn more and improve their employee’s education. Also, do they belong to the BBB? Do they have any complaints? When choosing a company, never opt for the first company you see. Make sure to maximize all the options that are given to you. One criterion to use when comparing companies is their reputation. Is the company reputable in terms of heating and air conditioning Las Vegas services? To evaluate this, look for customer reviews, ratings and reports left by previous clients. This will give you a clearer and unbiased understanding of the company’s background. In this case, a reputable air conditioning repair company is easy to find. Take the time to look at the company’s reviews on reliable pages such as Google+, Yelp and the Better Business Bureau. Alongside reputation, experience is a key factor. How many years has the company been working in this respective field of service? Companies with years of experience can definitely provide a much better service than those that have been around the market for a few months or so. Another criterion to look for is the rates provided. Most clients will often prioritize cost from quality and the other contributing factors when looking for AC repair Las Vegas offers. Though there is nothing wrong with being thrifty and money-wise, it should coexist with quality. 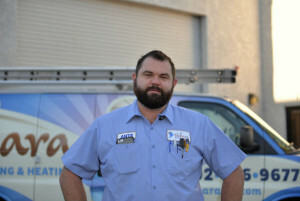 We’re confident that once you look into Sahara Air Conditioning & Heating, you’ll choose us for AC repair and service. We’ve been serving Las Vegas for over 30 years, and have thousands of satisfied HVAC customers. Read online reviews of our excellent AC repair service and NATE Certified techs on Yelp and Google+, and then give us a call. We guarantee you’ll be satisfied with the service you receive, or your money back. AC Broken? Air Conditioning Blowing Hot Air? Call for quality AC service in Las Vegas today – (702) 796-9677.